And now we're curious to see how high above $1.5M this house at 102 Gates will land. Does it need work? Sure it does. This listing agent knows her Gates Avenue. She's seen this movie before, having 110 Gates Avenue drop all the way from $2.45M to close for $1.7M at the end of last year. We guess she figured this time around to start the list price low and let the bidding war figure out where the number lands. Novices will tell you 102 Gates should go much cheaper because 110 Gates was so nice and closed for "only" $1.7M a mere 3 months ago. Ah, but like all comps, that contract price was negotiated many months prior to the closing, and - most importantly - 110 Gates is long gone. So who is 102 Gates' competition then? You can brow-beat any listing you see and gripe about how it only works for you at hundreds of thousands below asking price, but we told you it's supply & demand dictating this market. This isn't day-trading with equities where you can ride cyclical waves of price action in & out of the same stock. Real property is a high-stakes, winner-take-all industry. And you don't have to go to a soothsayer or read tea leaves to know that a listing like this means 374 other people who didn't get the house are certainly crawling around Brooklyn looking for the next one. Platinum Members are scoping out a handful of properties a few blocks from here that a fraction of the hundreds of people in this house even know about. Inefficient markets create opportunity. 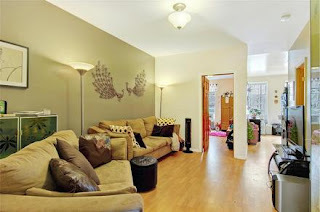 Corcoran listings create happy sellers. On a 12 degree day in Brooklyn, sunny South Florida was all a flitter over encouraging housing data that show sales in 2012 eclipsing activity during the height of the housing bubble - for single-family homes in Palm Beach County. Seeing this much activity can be good news, but it's important to note that supply & demand still dictate pricing. Note that more homes may have sold in 2012 than 2005, but the median sales price has fallen over 43% during that period. Prices are on the rise consistently for the first year since the crash, but you can still cop amazing 2BR's on South Beach for under $500K, while $700K becomes a tough price for even some of the dinkiest condos in the best parts of Brooklyn. It remains a buyer's market in South Florida because of all the supply. Yet in Brooklyn, townhome sales activity levels in Park Slope are completely stagnant compared to last year, yet prices are way up. How does that work? With more homes in South Florida than there were owners who intended on living in them, it was easy for things to come crashing down once the music stopped. And it's taken a lot longer to recover than it did in Brooklyn. Even Brooklyn wasn't immune to the crash in 2008, the credit crunch that stiffened (even froze) lending, or the stock market dip that cut net worths almost in half. You could cop an amazing 4-story, freshly renovated brownstone on Underhill in Prospect Heights that fell from a list price of $1.8M to an amazing purchase at under $1.2M! 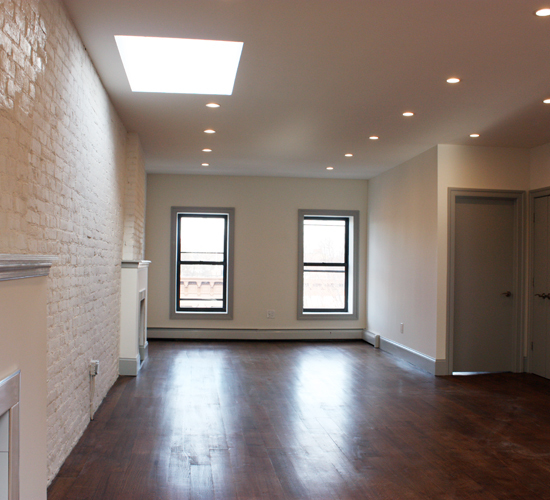 This is one of the King Kong best alternatives to unicorn-chasing $1.5M in Park Slope in the past 5 years. 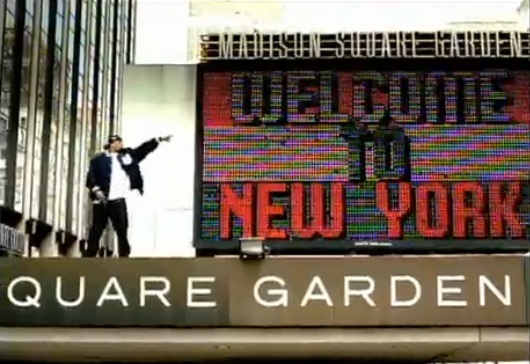 But in the winter of 2009, you couldn't get 300 people into a barely-marketed house in Brooklyn. 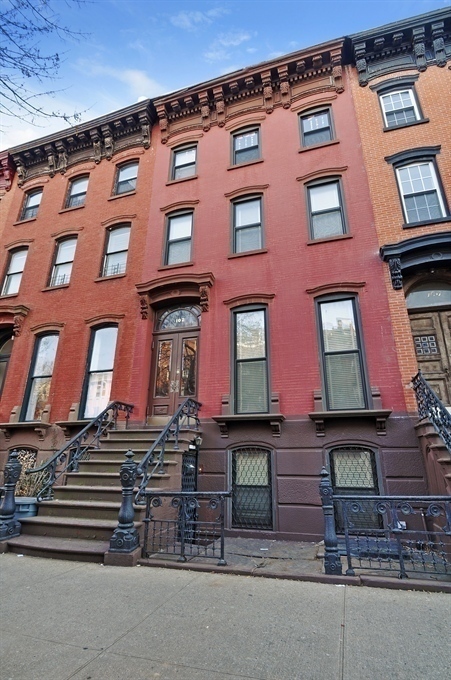 It was even pulling teeth to get people into 3-Fam's in South Slope for over $1.2M. Now, 4-stories on that same street in Prospect Heights, with a dinkier renovation, with a stumpier backyard, cruises to $1.75M with the big brokers, just under asking price. 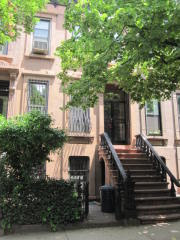 And once that was gone, 3-stories in Prospect Heights - in a condition many wanted to update extensively - cruised over asking price to sell just above $1.7M. Why? Because lending is back (rates are lower than before or after the crash), the Dow is back, buyers are back, and all along Brooklyn never went anywhere. Spare us this nonsense narrative about how "gentrification" is a white thing. Brooklyn is a thriving international destination for people of all kinds of backgrounds. 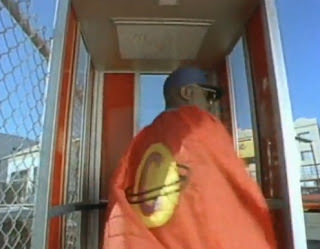 Leading up to the crash, we too asked ourselves, "Where will all these millionaires come from?" when $500/sqft became the industry standard for new condos being built throughout Brooklyn. Now those bad-boys fly off the shelves at $700/sqft & higher. People take their sales proceeds on a gain like that (or equity loans) to get a townhouse, and the cycle continues. Even through "the greatest recession in our lifetimes", in just a few years Brooklyn absorbed the thousands of condos they built in towers along Flatbush, that everyone condemned as generic and fretted over as a glut of inventory. Yet, now they're "building four more new towers". 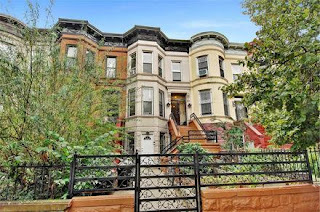 Another Corcoran broker called us to say that no one's selling, there's no product and tons of buyers, and to report the 375 person open house in Clinton Hill. We pointed out earlier that morning that some people are selling, and that some of those same people are even buying too. We agree, it's wild out there, but it's pure supply & demand driving this market. We've been saying it for a while. The average apartment in Brooklyn is still 34% cheaper than the average apartment in Manhattan, which the NY Times quotes at $3,973 now in an article that asks, "What is Middle Class in Manhattan?". 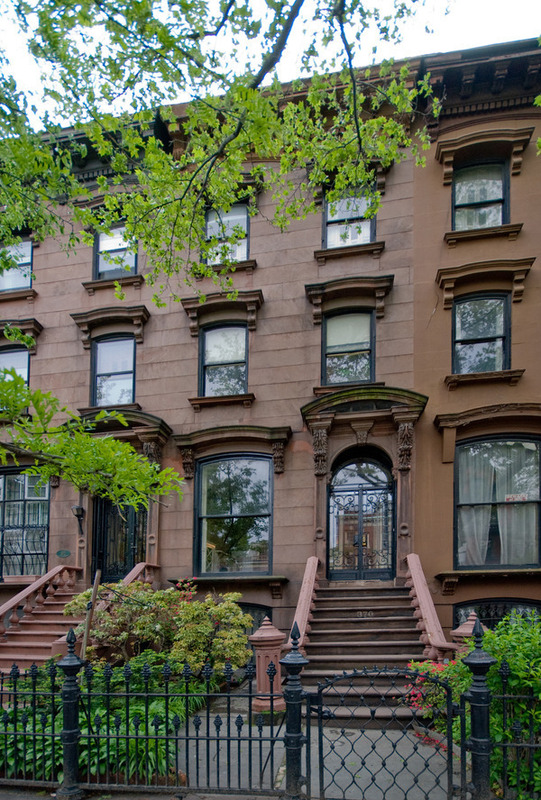 And sales comparisons to Manhattan can be even more favorable to Brooklyn than rentals. So we're still surprised at all the surprise over rising prices in Brooklyn, when in perspective, there's still a ton of value here. According to these figures, Manhattan rents are up 20% since last year, and people still need an explanation for Brooklyn? If you don't like fixer-uppers that command $2M in your favorite Brooklyn neighborhoods, you really don't wanna see what fetches over $3M in Manhattan. Just because Brooklyn isn't this bastion of bargain basement deals anymore, doesn't mean it's cooked either. There are still great compromises on price, location, size, and condition worth making. The glass is still half full in our book. 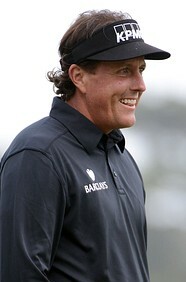 Don't get caught up in that Phil Mickelson swag. He says he's gonna have to make some "drastic changes" in light of presuming his taxes are headed above 60%. Poor guy made over $40M last year, but he says, "I've got to make some decisions on what I'm going to do." Nobody we know would have a hard time settling with 40% of $40M, but... guess you've gotta play the hand you're dealt. Just so happens, the resounding reaction to his comments includes, "Move to Florida!" 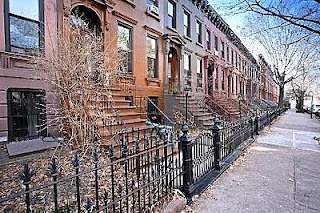 Real estate investors love that 6%+ cap rate with upside that Brooklyn offers. 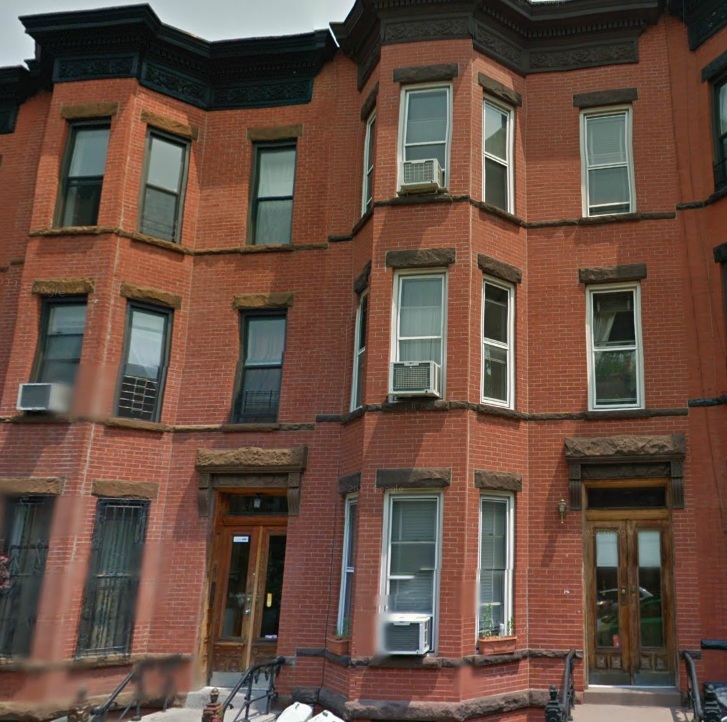 A package of 5 multifamily buildings in Bed-Stuy just sold for $7.6M, not far from the asking price of $7.95M. And from what we can tell, it sure looks like a power move for anybody with the funds to pull it off. 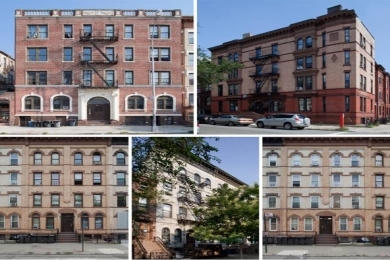 When it comes to mixed-use & multi-family properties, listing broker Stephen Palmese is the master of the 6-cap, moving 10 buildings on Myrtle Ave in Clinton Hill in that range since 2010. 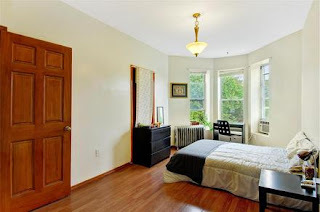 Last year, some people were sleepin' when he dropped an 8-Family on ya on Washington Avenue at the Crown Heights & Prospect Heights border at a nice cap rate too. Not only did Massey Knakal handle the sale, they rolled out some sweet financing on 75% of the debt at 3.25%! We're no math wiz, but if you've got $5.7M borrowed at 3.25% on something making over 7% by next year... that's not a bad way to deploy $1.9M. While 4,000 sqft. fixer-upper townhouses 2 miles west sell for $2M cash and up, it's interesting to see what else $2M can do. 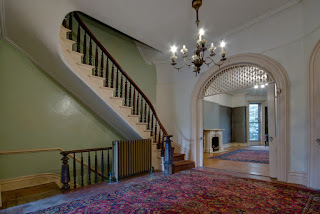 7 fire places, a curved staircase, crown moldings, arched doorways, ceiling medallions, original floors... all great details that make folks weak in the knees. But how many pictures of the same parlor does it take? 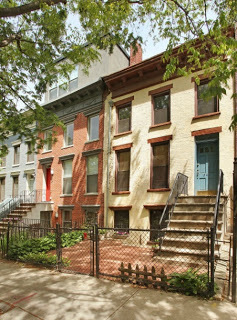 Whether you've got a $200K or $500K renovation budget for the place, this is a great look at 4-stories in Clinton Hill. 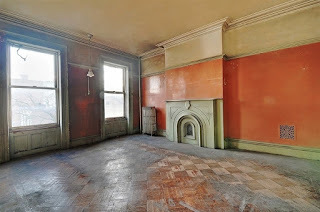 If you don't think a fixer-upper in Clinton Hill warrants $1.8M, tell that to the nearby 338 Clinton Avenue that sold for just under $2M last year without a single interior picture of its lovely details inside, then turned around and listed the next month for $2.6M. "But 338 Clinton Avenue is bigger and better than 370 Washington Avenue. Of course it'll go for more..." you might say. 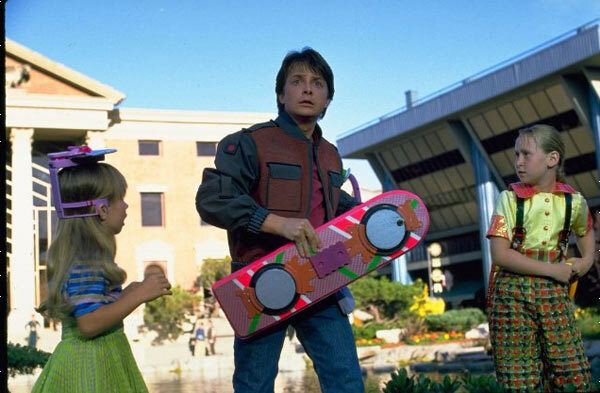 Not so fast, Marty McFly. 338 Clinton came out in 2011 and was long gone by the time 370 Washington came out in 2012, so they were never in simultaneous competition. So any comparisons are looking backwards, not forwards, and are certainly not apples to apples. 370 came out in April 2012, and 338 didn't close until July 2012, but it was already locked up months earlier. The beauty at 221 Clinton Avenue was already gone too. 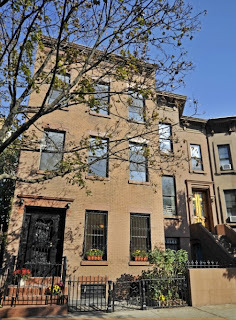 Besides other $2M+ examples, Clinton Hill nay-sayers should take note that a finished product like 377 Grand Avenue listed for $2.4M and closed for $2.54M. Has it really been a year since we told you that $1.5M townhouses are hard to come by in Park Slope, and that $200K-$300K downpayment is almost never enough to compete in that area? No one would take our word for it, so we let the numbers speak for themselves. A year ago to the day, we tracked for you what the hunt for this elusive unicorn had been like over the previous 6 months. 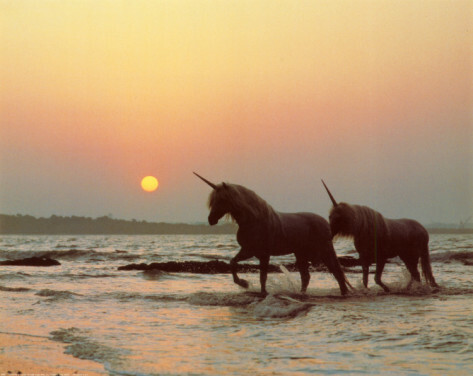 So it seems like a good time to take inventory of what the unicorn hunt has been like over the past 12 months prior to today, as the sun sets on this rare breed of property. Setting south Slope aside again, there were 71 properties sold & recorded in Park Slope proper in the 1-4 Family category in the past 12 months. The median sales price was $2.145M and the median price per square foot was $697. In fact, more properties sold for $2.5M or higher in Park Slope than sold for $1.5M or less. Hmmm, wonder if that has anything to do with why homes across the street in Prospect Heights can fetch over $2.5M now, or why Crown Heights & Bed-Stuy have pushed above $1M at times. Of those 71 properties sold in Park Slope, only 19 sold for $1.5M or less. 24 properties sold for $2.5M or more. The 3-story, 18' x 30', 1,400 sqft home at 241 8th Street between 4th & 5th Ave's had a contract in 6 weeks, wanted you to "bring your Contractor and Architect", and didn't want to even bother showing you any interior in pics. Listed for $995K, closed for $975K. 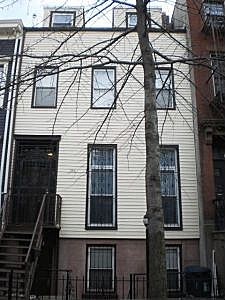 725 President Street was 12.5' wide, 4 stories, nothing special inside, asking $1.75M, and sold for $1.45M. 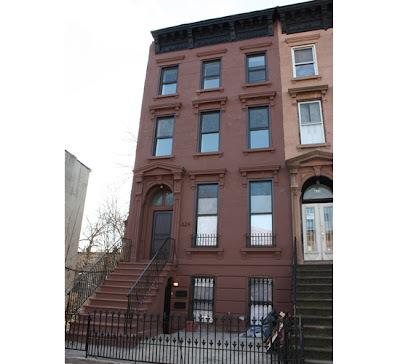 319 7th Street was a 3 story, 17.5' wide fixer-upper estate sale between 4th & 5th Ave's that sold for $955K cash to an investor. 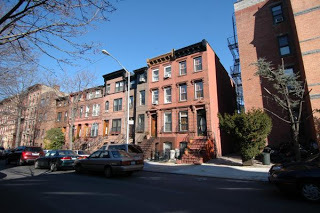 603 President Street was 15' wide, 3 stories, between 4th & 5th Ave's, and sold for $1.2M to neighbors up the street. 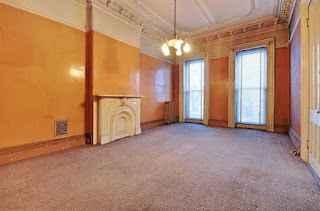 720 Sackett Street was barely 16' wide, barely 3 stories, pretty "meh" interior for most people's tastes, between 4th & 5th Avenues, listed for $1.175M, had a contract in a month, and sold for $1.259M with just over $300K down. 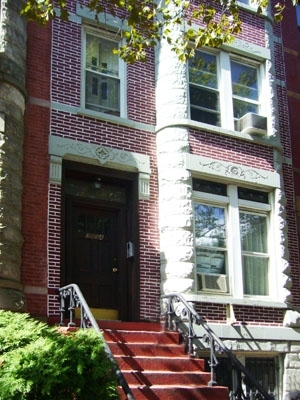 This is the lowest downpayment possible that you're going to find for a townhouse in Park Slope. 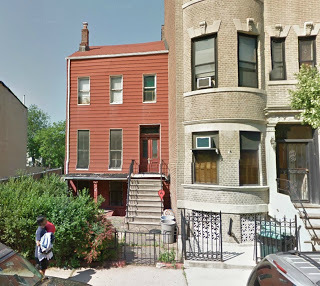 359 7th Street was a 3 story, vinyl-siding house in "estate condition" expecting a complete overhaul to potentially "start anew and build a 4,100 square foot new townhouse". No interior pics were even worthwhile. Listed for $1.25M and got it from an investor. 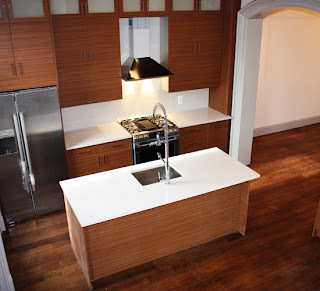 707 Union Street was 12.5' wide, between 4th & 5th Ave's, and with a nice renovation. It listed for $1.425M and sold for $1.456M. 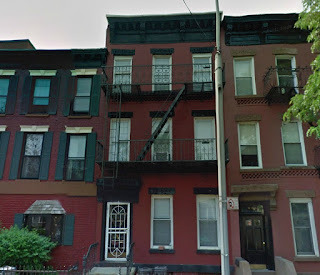 356 2nd Street was 3 stories, in need of work, between 4th & 5th Ave's, was on our radar, but fell off almost everyone else's, and was picked up for $1.3M. 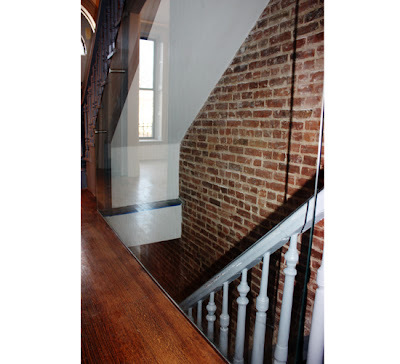 643 DeGraw Street was a 3 story tiny condo alternative near 4th Avenue at only 1,600 sqft. A quick & dirty development that it took even Corcoran months to move at its list price of $999K. 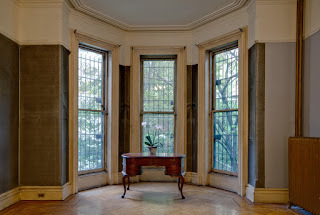 Sold for $884K. 439 Bergen Street was another little 3-story hidden estate sale that we were all over from the jump. It listed for $995K. Like almost all of these estate sales, it doesn't matter if someone wants it for $1.25M financed when $1.2M cash gets it done. 470 6th Street was another estate sale not marketed extremely well. They listed for $1.699M and got $1.4M with just over $400K downpayment. Another one of the best looks in the neighborhood, especially compared to what's being purchased in cash. Another estate sale with vinyl siding that's between 4th & 5th Avenues? Noticing a pattern here? 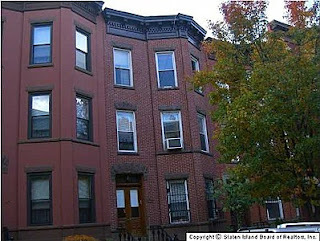 392 Dean Street sold for $922K to an investor. 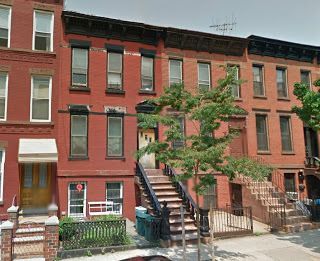 675 Degraw Street, also between 4th & 5th Avenues, closed for $1.2M. 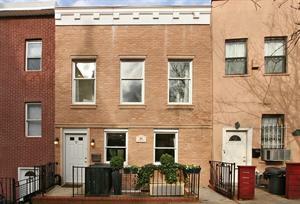 382A 6th Avenue was 16' wide, barely any backyard, but a 3-Family & a 6-cap! Sold for $1.2M. 598 Carroll Street was barely marketed by a local broker, which is why it didn't go for way more. 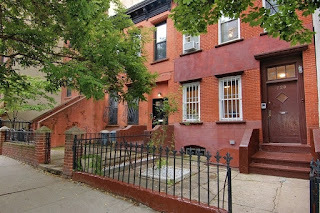 Little yard, in need of work, between 4th & 5th Ave's, it closed for $1.3M. 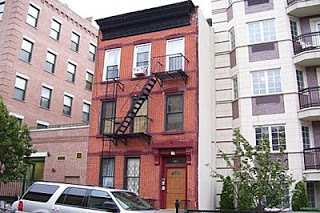 41 Garfield Place is 2 stories, by 4th Avenue, listed with Corcoran for $1.3M, had a contract in under a month, and closed for $1.4M. 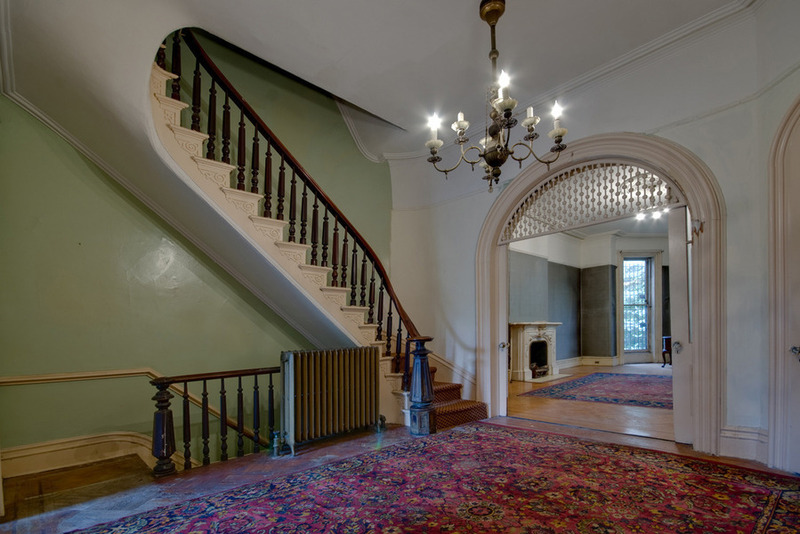 395 8th Street was an estate sale picked up for $1.5M with an incredible $300K downpayment. Hands down one of the best buys in the Slope in terms of cash outlay on the acquisition. 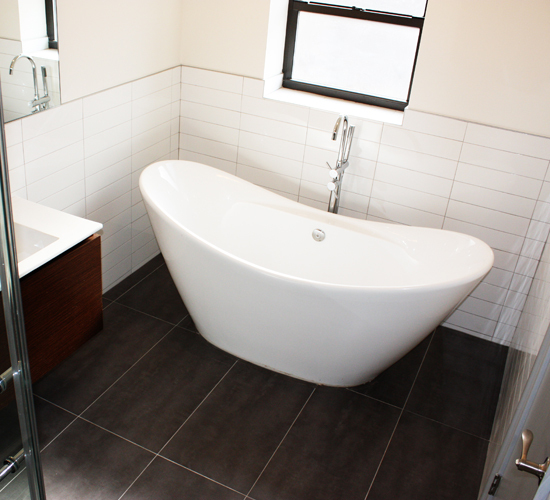 Plenty of renovation to be done now, though, but we imagine the buyers are very pleased. 695 President Street was another estate sale with plenty of work to be done. We're sure the architect team that bought it is up for the task. This 17.5' wide 3 story brownstone sold for $1.32M. Even Corcoran took over a year to move an SRO with tenants, even on one of the best blocks in all of north Slope. 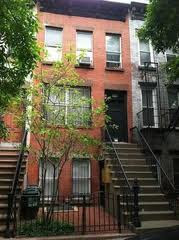 135 St. Johns Place listed for $1.3M in 2011 and closed for $1.12M cash last year. Is this why over 300 people wait in line in the cold for a 20' wide, 4 story fixer-upper under $1.5M in Clinton Hill now? People casually talk about where they will & won't go in Brooklyn. 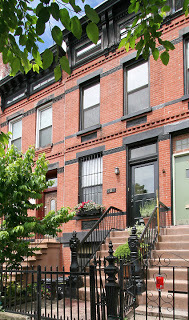 West of Nostrand and south of Gates have always been some easy criteria for the property hunt wish list, but we already told you Bed-Stuy waits for no man. While would-be buyers draw arbitrary lines around neighborhoods, real buyers are taking down some of the next-best properties in the area. 624 Greene Avenue is a great look at 4-stories of renovated brownstone that just sold in the neighborhood for a value price. 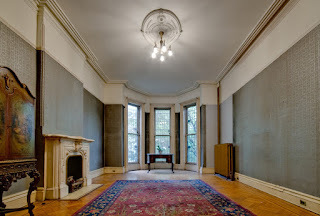 When you want a sleek owner's triplex with a garden rental that's gut renovated with original details retained where possible, it doesn't get much better than this. 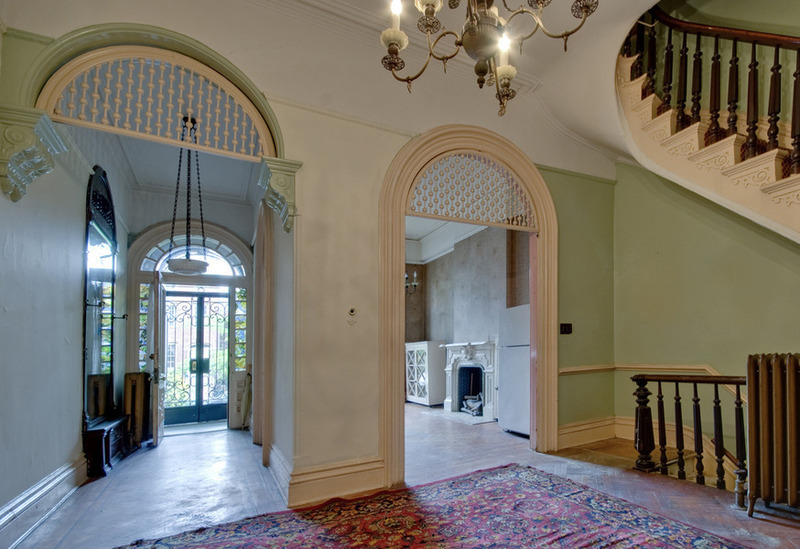 And where else are you going to find this under $1M besides Bed-Stuy? 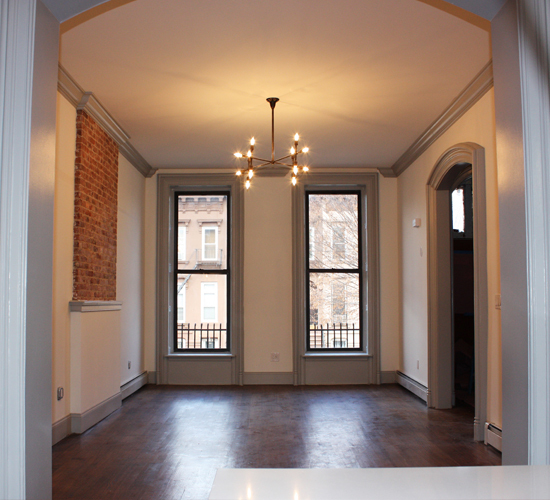 If you missed 296 Halsey Street, you should've been all over 624 Greene Avenue. 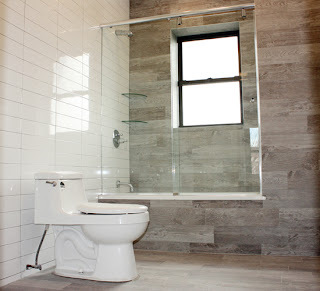 Call us suckers for dark wide-plank floors, shiny new materials, high ceilings, skylights, washer/dryers, and modern bathrooms - but we're digging the blend here. We're even feelin' the glass wall in the staircase... you don't see that everyday. Overall... simple, tasteful, and affordable. Maybe every last detail isn't the way you'd have it done, "and if you can do it better than me, then you do it." With more projects upcoming from these developers throughout the area, we're eager to see what they do next. If you were more than a day late and a hundred thousand dollars short for an easy-to-find Corcoran listing like 10 St. Charles Place in the spring, and the same thing happened to ya on 355 Eastern Parkway in the summer (listed with the same broker), what makes you think the third time will be a charm? You may presume it's time to put your cape on and Captain Save-A-Home, but it should be no surprise that 660 St. Marks Avenue is signing their contract in a few days. Same goes for another Crown Heights gem we've been bullish on for months. Some people thought it was time to do them a favor with a $900K bid, when these sellers are also about to sign their contract (with multiple back-up offers) in a few days. 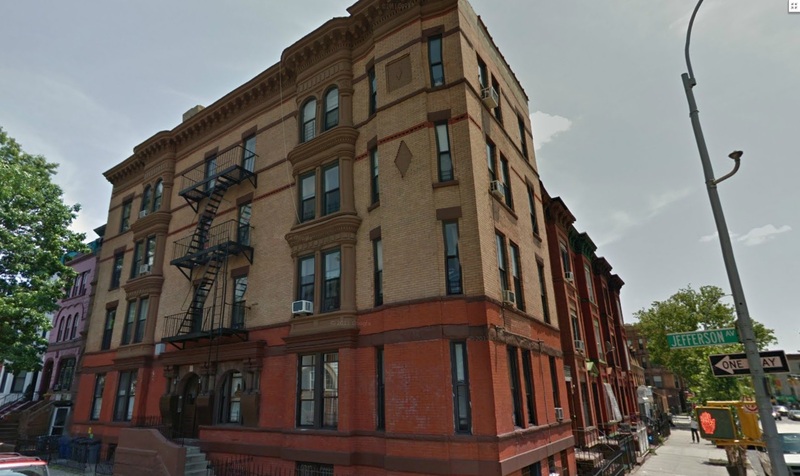 610 Eastern Parkway is another 3-Family winner in Crown Heights, for all those who still want a townhouse at condo prices. Hate on the generic interior and paved backyard if you must, but this is a great look at the value ~$1M still gets you, especially compared to a condo in Park Slope. We've been loving these houses as alternatives to Park Slope for months, like this home's cousin 676 Eastern Parkway. Yet people who live just a few blocks from here swear they're doing these homes a favor by gracing them with their presence and their below-ask offers. 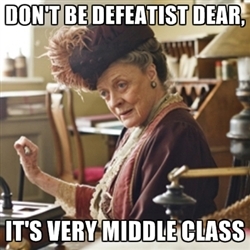 People got that Dowager Countess swag - hating on everything, but too broke to even afford the house & lifestyle they insist is the only one worth living to them. 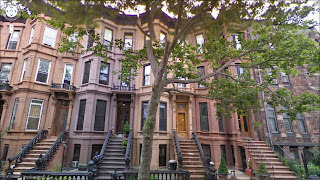 Meanwhile, a Corcoran broker reports yesterday that the open house in Clinton Hill on Sunday had 375 people. "When's it going to stop? ", he asked us. Perhaps when the 374 other people who don't get that house finally find their houses, it might slow down a little bit. Until then, it's just a supply & demand story, as it's always been. And for any one buyer to think they're not one of hundreds is just silly. While people scoff at 1148 Sterling Place as too grimey and too far east, it's in contract with a cash offer. While people call 1329 Pacific Street over-priced and hate on the SRO status & all the work it'll need, there's a bidding war with cash offers. Sleep on Crown Heights (and any "emerging neighborhood" for that matter) at your own peril. Opportunities still abound, and Corcoran.com and Elliman.com aren't the only places to find them. But if you do find one listed with those guys, please don't be surprised when you're not the only one. Ideally: pick this place up and make affordable upgrades as you go along. Try not to faint when these are fetching $1.5M by next year, if only because that kind of money has nowhere else to go. Our latest addition to the Listings section of the blog is a legit 2BR rental in Prospect Lefferts Garden that's half the median rent in Brooklyn at a way-affordable $1,350/month in 245 Martense Street. If you want to escape the molten hot gentrification of Crown Heights, but still be literally around the corner from the 2/5 trains, this is a great look. Generic interior pics aside, it's even easier to come check out yourself at an open house this Saturday afternoon from 2pm to 4pm. At these prices, we'd be happy to tweak the kitchen and bath ourselves!